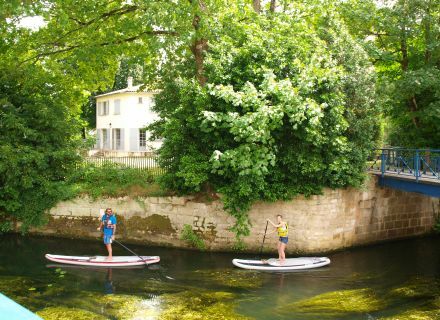 Home / Le blog / Rise with the stand-up paddle! Rise with the stand-up paddle! Today, I tested for you a very trendy sport: the stand-up paddle! In fact, it is a long board on which we have to balance up, what is not still very easy! 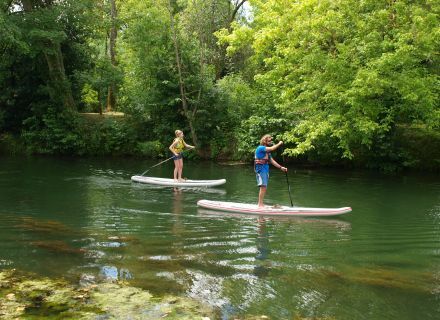 There is for all the levels, Niort beach proposes an initiation of 1 hour with an instructor for those who not have never made it, as I or if you are in search of challenge either a connoisseur of the activity, venture for a hike in stand-up paddle of 1:30 am. 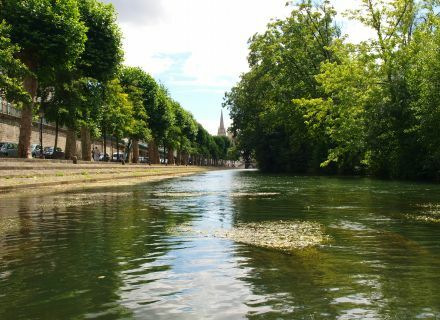 It is the nautical and playful activity which allows to discover Niort and its symbolic monuments in a original way and on the river! Watch out, in the small descent it paddle, guaranteed madmen-laughter and watering! Do not worry, Jérôme will be there to guide you and you to advise on gestures to adapt, but, as the canoe, it will be necessary to row vertically if you want to move forward correctly. 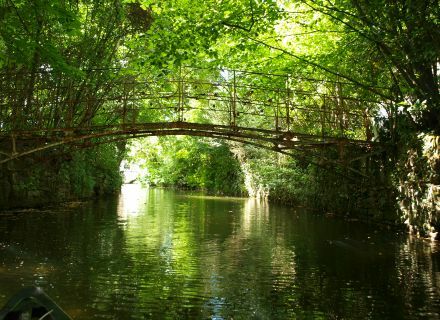 During the stroll, admire the beauty of the surrounding landscapes, we can discover it very beautiful natural places. Do not hesitate to come to try the experience, it is accessible to all and it is a good way to make work your balance while amusing you, believe my experience there! 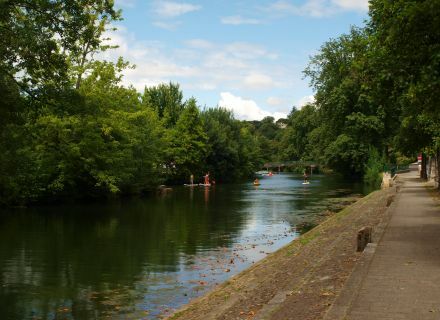 Within the framework of Niort beach, nautical activities are proposed during the season as the canoe, the kayak and the pedal boat, but also hikes in canoe and for the youngs of strolls in pony. I am anxious to specify you that it is imperative to know how to swim and dive on 25 meters to practise the activities on the water. 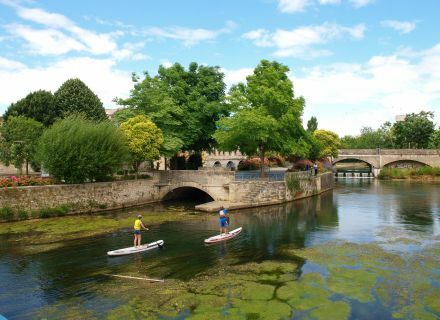 Come to slide along the river with the stand-up paddle!